Looking for fun summer projects to do with your little ones? Consider planting flowers with kids. There are many beautiful blooms that you can plant with your kiddos, in a garden or even in a pot to keep near the window inside of your home. A trip to a local garden center, or perhaps a farmers’ market, should uncover some beauties that your family can easily turn into décor – and good times! If you can’t find any flowers near you, there are always websites that sell seeds, and young plants, which are perfect for tiny hands to work with. The following are some of the best blossoms of summer that you might want to look for when taking on this fun kid-friendly project. 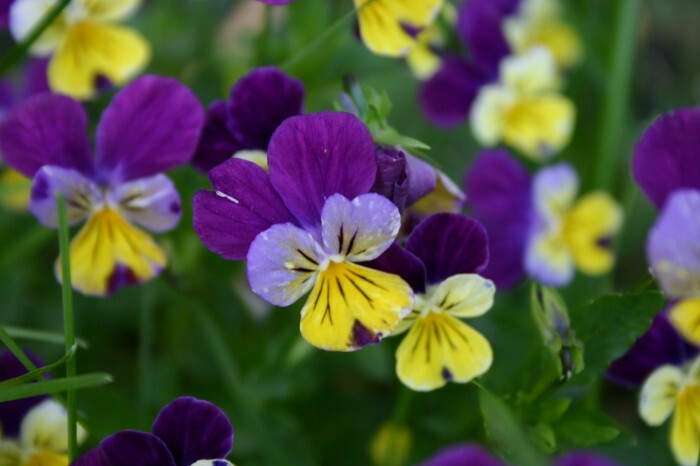 Johnny Jump-Ups are perfect for kids to plant because children usually love the flowers’ bright colors, and it’s kind of funny to say the flowers’ name. Johnny Jump-Ups need a moist bed to thrive, so consider this if you’re trying to decide to plant them indoors or outside. While your children will likely have a thrilling time sowing seeds into dirt, or covering the roots of a juvenile plant with soil, you can think of the edible goodness you’ll receive when the blooms are fully grown. Johnny Jump-Ups are pretty and delicious in salads. Arugula is often a plant that people grow to consume, but you and your child can grow it to see the gorgeous little flowers that pop up. Did you know that arugula grew flowers? They’re delicate and white, and you can eat them just like the rest of the plant. Arugula will self sow, so think about planting it outdoors or in a large window box that gives it enough room to spread. Another kid-friendly plant that offers bonuses for adults, calendula puts out cute daisy-like blossoms in bold shades of yellow and orange. Calendula flowers are also edible. They can be steeped into a tea or placed on top of baked goods. Grow calendula to give your family a natural, effective, and homemade salve for summer bug bits and accidental scrapes too.